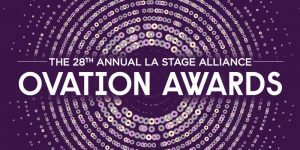 Nominees for the 28th Annual LA STAGE Alliance Ovation Awards were announced on Thursday, November 2 on @ This Stage Magazine [ThisStage.la]. The ceremony will take place Monday, January 29, 2018 at The Theatre at Ace Hotel in downtown Los Angeles. Center Theatre Group leads the pack with 31 nominations for their productions of Ma Rainey’s Black Bottom (7), Archduke (5), and Zoot Suit (4) at the Mark Taper Forum; Amélie, A New Musical (1), Fun Home (1), and Into the Woods (1) at the Ahmanson Theatre; and Dry Land (7), Failure: A Love Story (2), King of the Yees (1), and Vicuña (1) at the Kirk Douglas Theatre, along with Best Season. Wallis Annenberg Center for the Performing Arts follows with 19 nominations for their productions of For the Record: Scorsese – American Crime Requiem (10), The Pride (4), Merrily We Roll Along (3), The Encounter (1), and Best Season. Geffen Playhouse ties the Wallis with 19 nominations for their productions of The Legend of Georgia McBride (8), Actually (6), Long Day’s Journey into Night (2), Barbecue (1), Icebergs (1), and Best Season. Rogue Machine garnered 12 nominations for their productions of Les Blancs (8), Dutch Masters (2), The Super Variety Match Bonus Round! (1), and Best Season. Actors Co-op earned 11 nominations for their productions of 33 Variations (8), Our Town (2), and The Turn of the Screw (1). Rubicon Theatre Company also received a total of 11 nominations for their productions of Gulf View Drive (10) and Sylvia (1). Ebony Repertory Theatre gets 10 nominations for their production of Five Guys Named Moe. 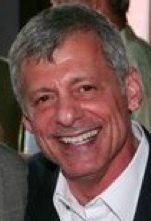 Ken Werther has been Hollywood's premiere theatrical press agent for more than 30 years.